Anna came to circus from a background of both gymnastics and dance. After studying dance education at NYU and an intense immersion in yoga, she settled on pursuing her love of contortion, aerials, and acrobatics. She toured with Cirque du Soleil's production of Quidam from 2004-2007, performing both the aerial hoops act (a trio) and then the contortion in silks, as a soloist. 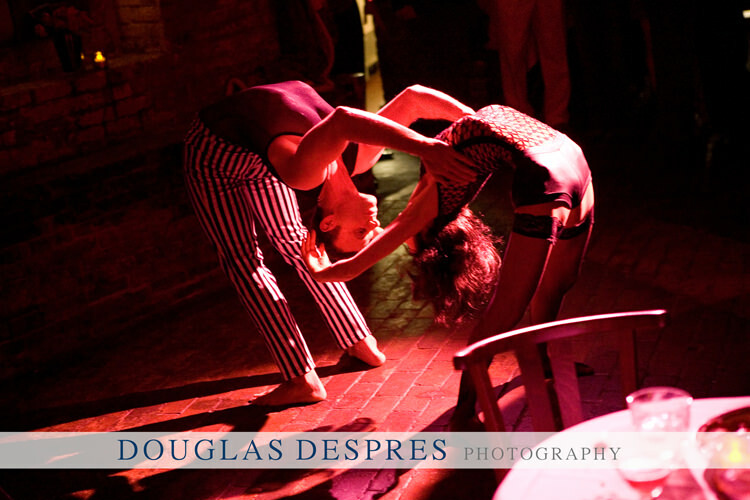 She has also performed with Montreal based circus companies, Les Gens d'R and Cirque Eloize. Other career highlights include appearing in the feature film, The Greatest Showman, and most recently in the Metropolitan Opera's production of Cosí Fan Tutte at Lincoln Center. Anna has also performed for a variety of corporate events, fashion shows, music videos, feature films and television. She has also been a guest artist with Dzul Dance Co. for the past 10 years. Currently, she lives in NYC and teaches both private and group classes.